A long history and a record of reliability have made the Williamson and Thermoflo brand names well known in the heating and air conditioning industry. 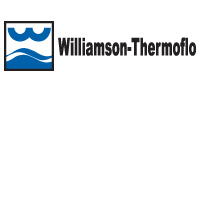 Today the two names comprise Williamson-Thermoflo, a company that offers a full line of rugged, dependable oil- and gas-fired cast iron boilers, oil- and gas-fired furnaces, indirect-fired water heaters and air conditioning products. Yearly maintenance is required for all the equipment that we install. Our service department is staffed with NATE certified technicians who handle maintenance. NATE is the leading certification program for technicians in the heating, ventilation, air conditioning and refrigeration (HVAC/R) industry and has the only test supported by the entire industry. Should any problem arise during our contracting of work performed, we are fully insured. LeBlanc Heating offers a 5 year labor warranty on most of the products it installs. Williamson and Thermoflo product warranties will be processed by LeBlanc Heating and will be outlined in the investment agreement.